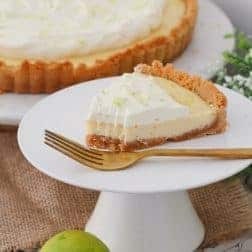 A deliciously simple Key Lime Pie made with a crushed biscuit base, a baked creamy lime filling with sweetened condensed milk and eggs, and a whipped cream topping. A quick and easy dessert the whole family will love! 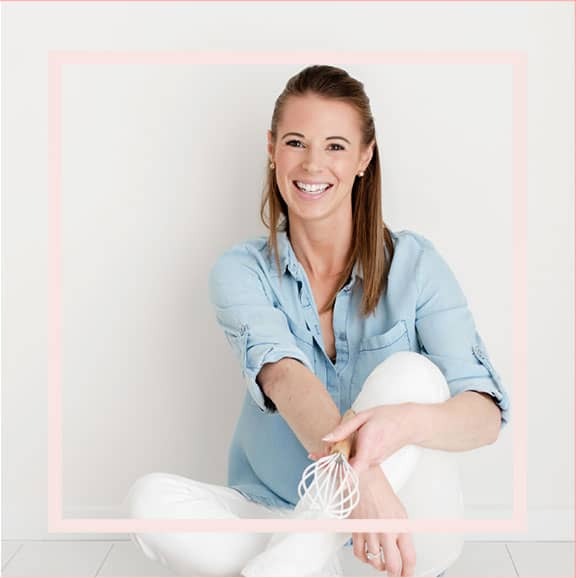 Printable conventional and Thermomix recipe cards included. 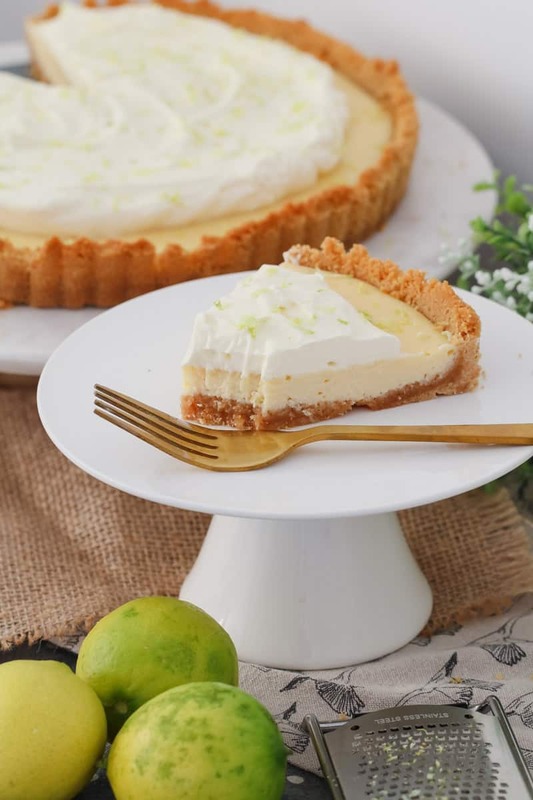 For most Aussies, key lime pie is very much a famous American recipe…. BUT it’s made from the most basic ingredients (all of which you can absolutely get in Australia! ), is SO simple to make and tastes AMAZING, AMAZING, AMAZING!!!! 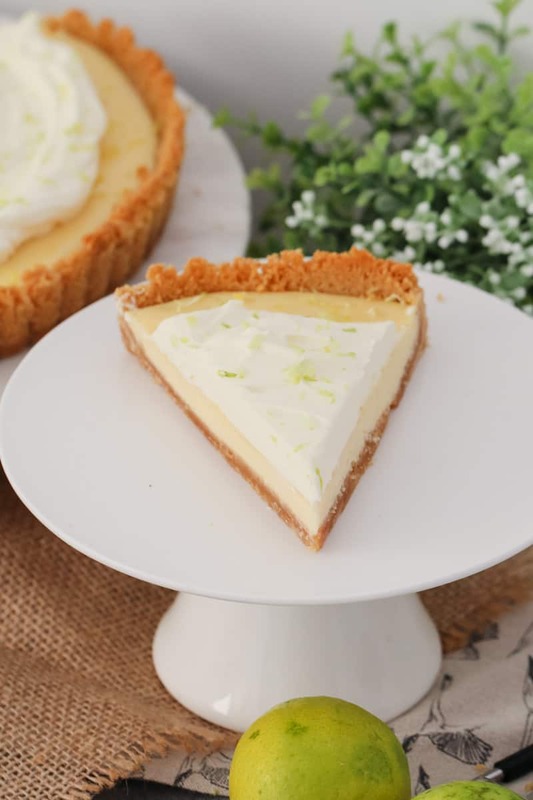 So if you’ve never made Key Lime Pie before, please, please change that RIGHT NOW!! It will be the best decision you’ve made all day! 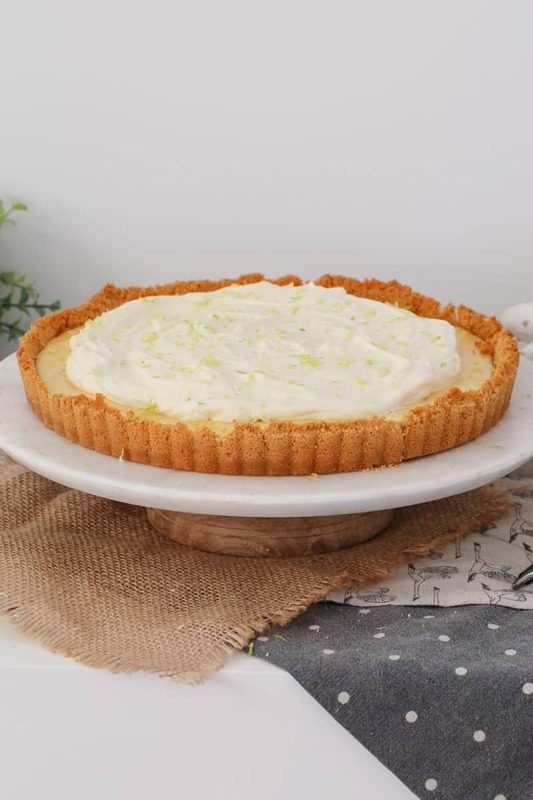 This Key Lime Pie is made from a basic crushed biscuit base mixed with melted butter. The filling is then made by simply whisking together condensed milk, lime juice, eggs and lime zest. 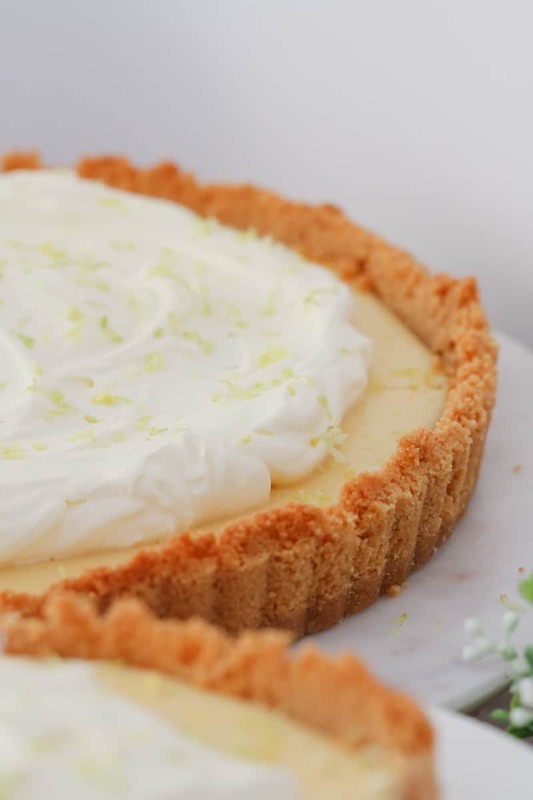 And of course, to top it off, add whipped cream with grated lime zest once the pie has cooled. 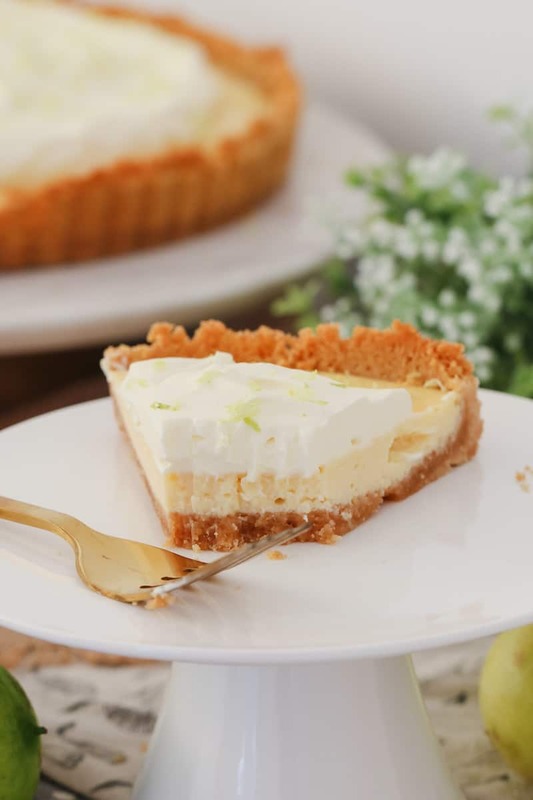 This is honestly the perfect dessert – it’s simple, it’s delicious and it takes hardly any time to prepare! 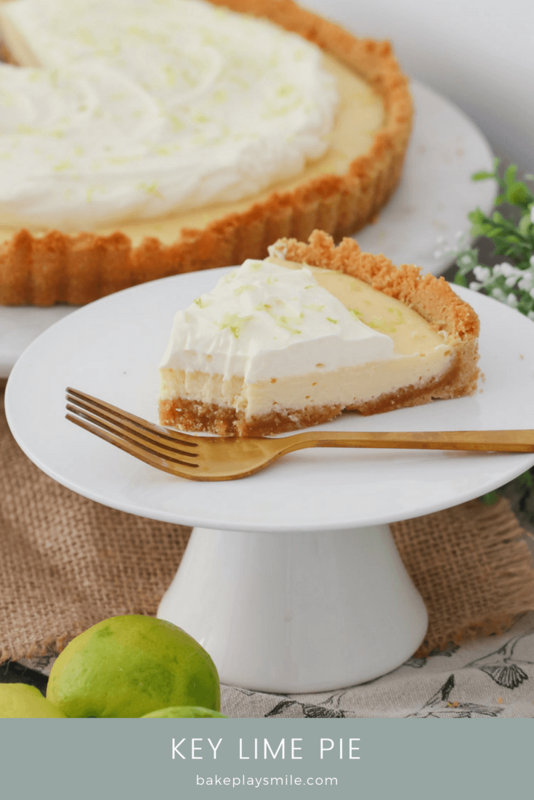 So if you’ve ever wondered whether or not to make Key Lime Pie… now is the time!!! 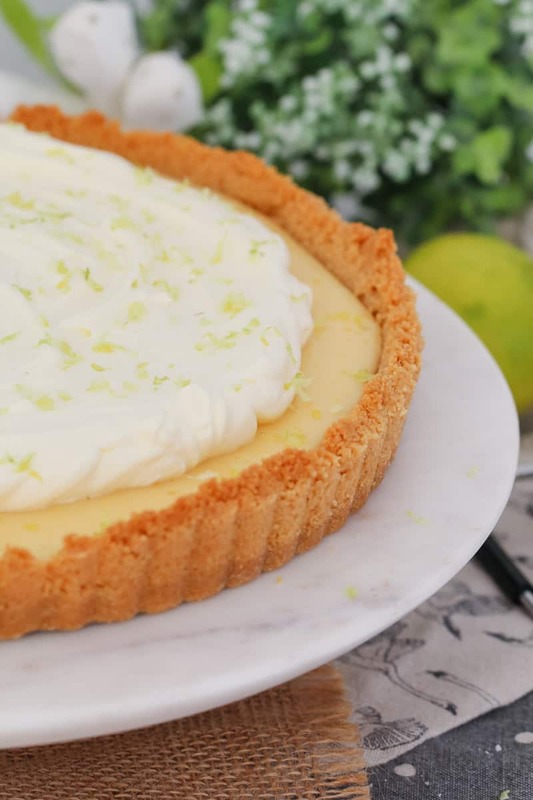 Oooh and in case you’re wondering, if you really want to make this pie, but only have lemons, that’s absolutely fine too. 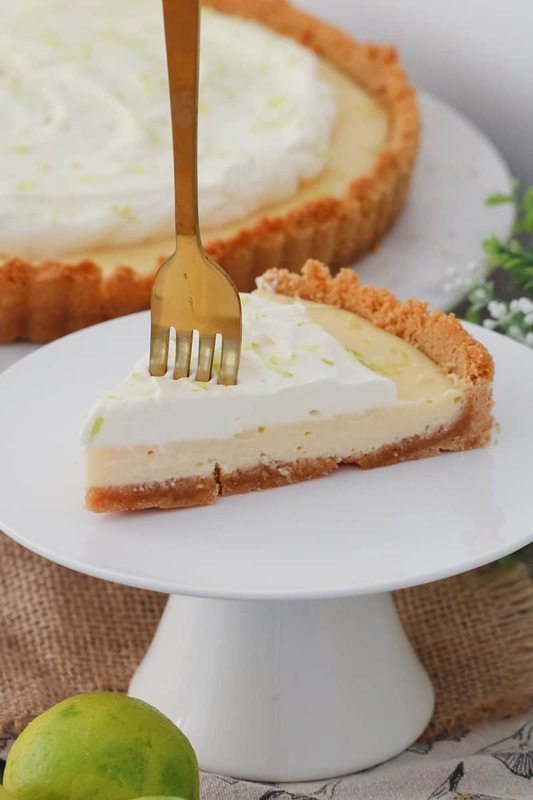 It obviously has a different flavour, but it’s still just as yummy (and just like a classic lemon tart!). Mmmm check out those three layers of deliciousness!!!! 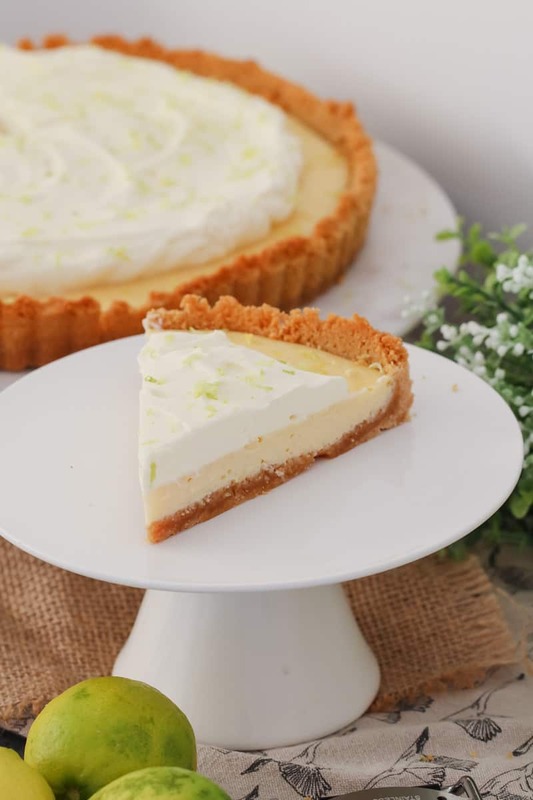 A deliciously simple Key Lime Pie made with a crushed biscuit base, a baked creamy lime filling with sweetened condensed milk and eggs, and a whipped cream topping. A quick and easy dessert the whole family will love! Grease a 22cm loose-bottomed tin and set aside. Crush the biscuits until they resemble fine crumbs. Add the melted butter and mix to combine. Press the biscuit mixture firmly into the base and sides of the tin. Bake for 10 minutes in the oven. Remove and allow to cool. 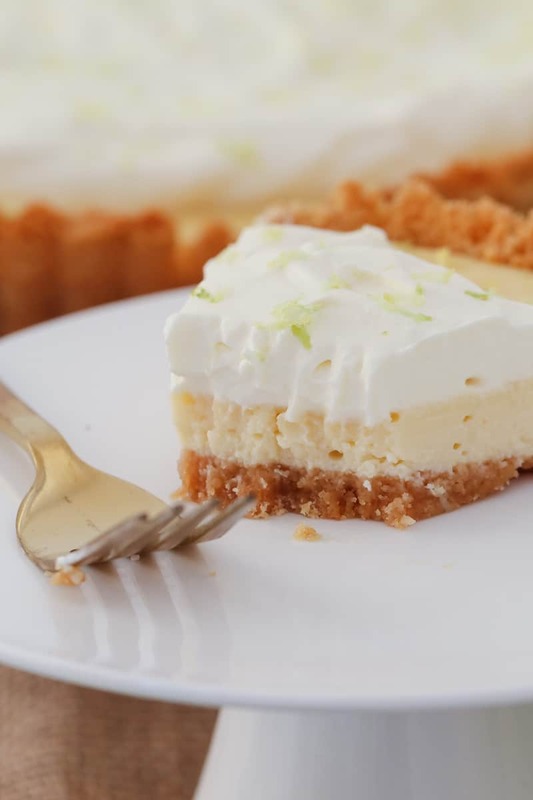 Using electric beaters or a stand mixer, beat the sweetened condensed milk, lime juice, eggs and lime zest until creamy (approximately 4-5 minutes). Pour the liquid into the prepared base and bake for 15 minutes or until set. Allow to cool in the fridge for a minimum of 4 hours (preferably overnight). Serve with whipped cream and extra grated lime zest. Melt the butter in the Thermomix on 80 degrees, Speed 2, 3 minutes (or until melted). Add the biscuits and crush on Speed 8, 5 seconds. Scrape down the sides of the bowl and repeat for a further 5 seconds. Firmly press the mixture into the base and sides of the prepared tin and bake for 10 minutes. Remove from oven and allow to cool. Place the sweetened condensed milk, lime juice, eggs and lime zest into a clean and dry Thermomix bowl and mix on Speed 4, 45 seconds. Scrape down the sides and mix for a further 45 seconds or until creamy.